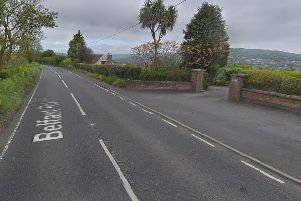 Larne Times readers have been airing their views on social media regarding a suggestion that the Roddens speed limit should be halved to 20mph. The proposal was made by local resident John Plumb, who called for the speed limit to be reduced to protect school kids in the wake of a recent accident. John described the corners along the road as “impossible to drive along safely at 40mph”. The suggestion generated considerable debate on the Larne Times Facebook page. “The speed posted is a limit, not a goal,” Karen stated.